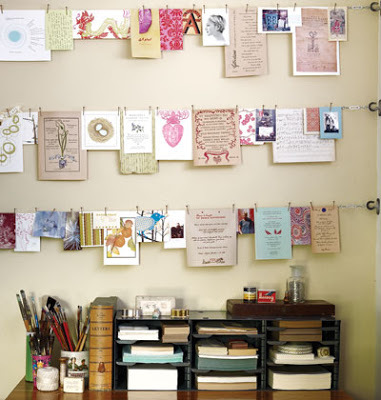 I like this idea of covering a section of the wall with inspiration or previous designs. It could also be used for holding cards or photographs. The post Creative Displays appeared first on Darling Darleen | A Lifestyle Design Blog .